WARSAW – Poor Kathy Ray. Working the microphone as announcer for Saturday’s finals of the Warsaw Girls Swim Sectional, one event after another coaches were frantically running up to her. The hectic behavior was a good thing, however, as Ray was being told over and over that school records were being broken up and down the line. 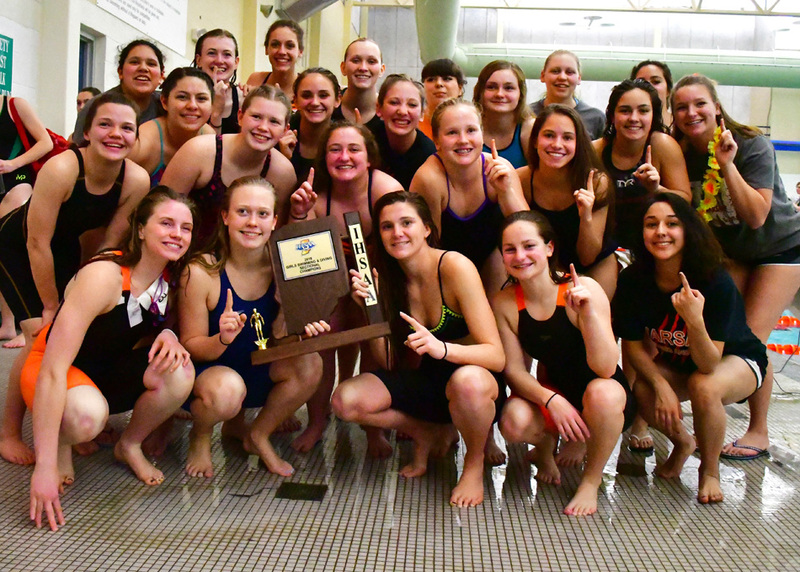 Such was the tone for the meet that saw Warsaw set a couple of its own, and use its depth in sending enough kids in the finals to outscore Culver Academy, 396-349, to win the team sectional championship, its ninth in program in history. 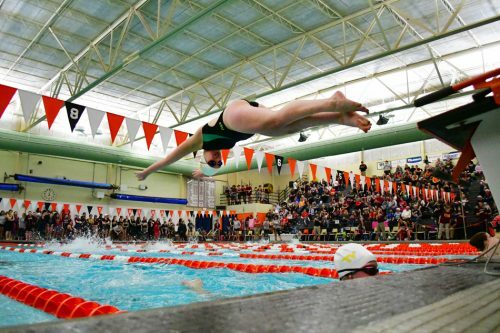 The meet itself saw four school records accompany championship finishes in the first four events, the first of which came from Warsaw’s medley relay of Lauren Kuhl, Delaney Wihebrink, Taylor Gunter and Olivia Herman, who came to the wall at 1:50.91. 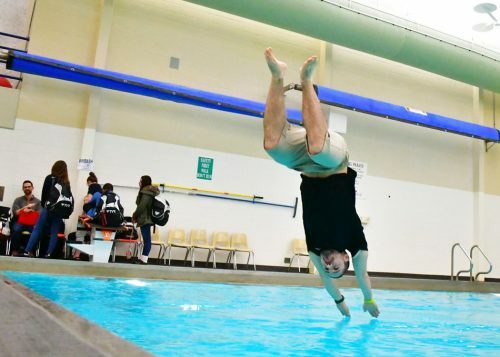 That set the tone for the meet that had Ray announce nearly a dozen school marks, whether they were tethered to a championship or just among the finals swims. Warsaw only had one other event champion, that coming in another school-record swim in the 200 free relay team of Herman, Gunter, Wihebrink and Lauren Moeller at 1:40.34. 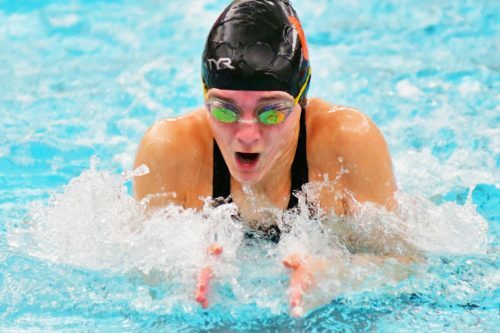 The Lady Tigers did pile up a bunch of runner-up swims, with Wihebrink unable to catch Abigail McCarter in the individual medley, McCarter at 2:11.60 to Wihebrink’s 2:13.62, and the two also squaring off in the breaststroke, McCarter posting a state cut time of 1:05.50 to Wihebrink’s school record of 1:06.19. The state cut in the breaststroke is 1:05.97, Wihebrink straddling right on the line of a call-up. 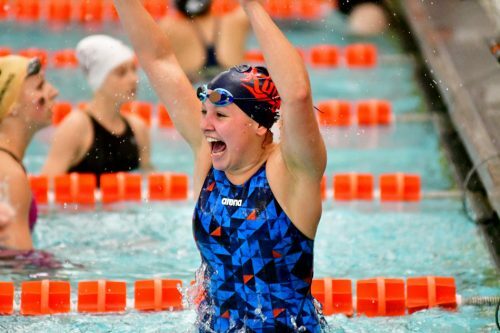 Herman was second in the 50 (24.85) and fourth in the 100 free (55.98), Moeller second in both the 200 free (2:01.29) and 500 free (5:27.10), well back of Manchester freshman sensation Halle Briner in both races in what were in a pair of Squire records at 1:56.20 and 5:18.74. Gunter took third in the butterfly (1:03.76) and Kuhl was fourth in the backstroke (1:05.70). 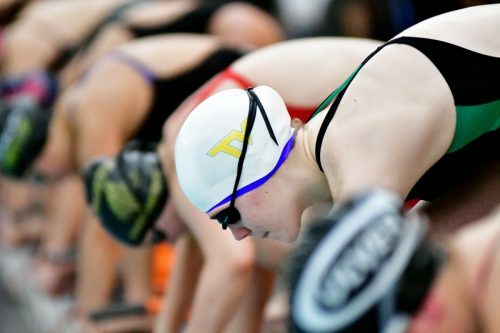 Autumn Baumgartner of Culver Academy had herself a day, winning both the 100 free (51.91) and backstroke (59.15) and then helping the 400 free relay team to a state trip with its 3:39.73. Huntington North’s Alex Aschilman won the fly at 1:01.67 and Rochester’s Madelyn Sailors took the 50 at 23.85. 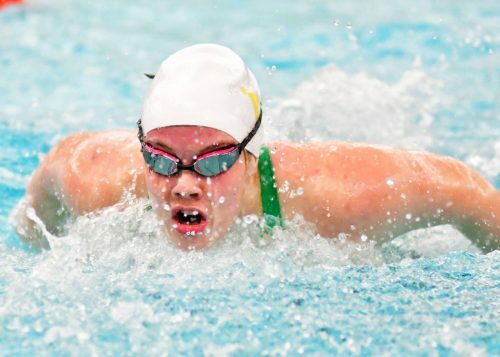 Tippecanoe Valley’s best swim came from Olivia Livengood, who took seventh in the fly at 1:08.03, but it was diver Tiphanie Hodge who saw her season continue on. Hodge put together a quality series of dives to keep pace with a bunching of performers. 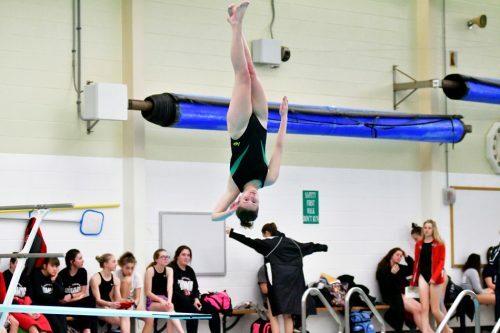 Hodge posted two of her better dives in the finals to ring up a 291.50, placing third. Isabelle Ahlenius of Culver Academy was tops by a mile, scoring 406.05, with Pioneer’s Gracie Pearson second at 292.15 and Plymouth’s Lyndsey Price fourth at 290.85, all advancing to Tuesday’s regional at Mishawaka. Divers five through 10 were only separated 22.9 points. 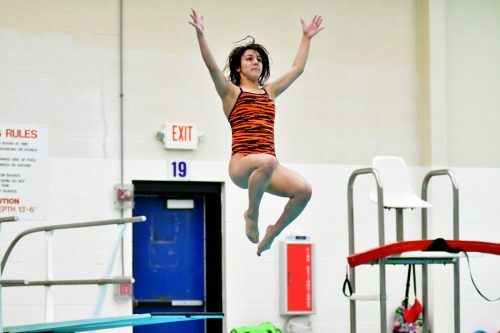 The IHSAA State Finals will begin Friday at 6 p.m. at the IUPUI Natatorium in Indianapolis with preliminary rounds. Diving and the finals will begin Saturday.